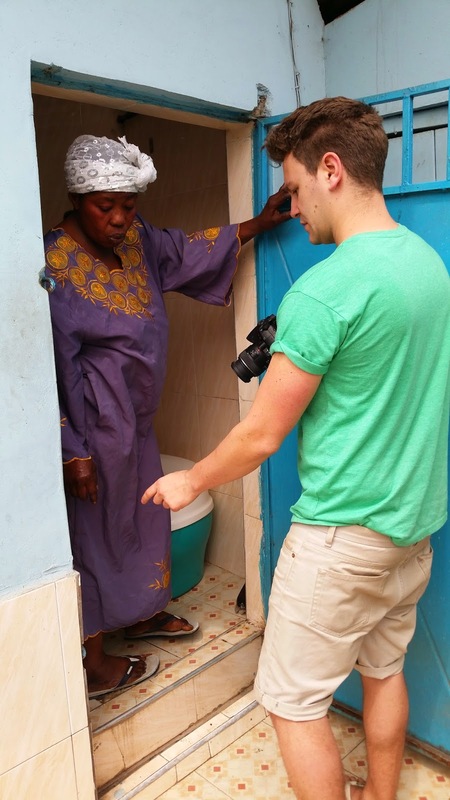 Earlier this year four members of the Nano Membrane Toilet team traveled to Ghana to hear from our potential users and get their input into the design of the toilet. We were really pleased to work with Clean Team who made sure we got all the surveys done (103!) and pre-tested them for us. We were keen to talk to their customers as they have already made the decision to invest in an aspirational sanitation product, so we thought they would have some useful ideas for us. Clean Team work across six districts of the city of Kumasi which allowed us to observe the many differences in style of houses, income levels, religion and water supplies. People seemed very open to most of the concepts around the toilet: the water would be useful for cleaning, as even where people had taps in the house metering was becoming commonplace so there’s a money saving from the reuse. Very few people liked the idea of drinking it, although one woman did say that since we had come from a University in England we must be doing a good job and therefore if I said the water was safe to drink she would be happy with it! The potential for charging mobile phones from a toilet lit up almost everyone’s eyes, partially just the concept but also because, despite everyone we spoke to having electricity in the house, the dreaded ‘doomsa-doomsa’ - power cuts - were so common that getting caught short of phone battery during the blackouts was a big headache for many people! Many people were excited about the idea and would be willing to accept a new technology, and work to keep it clean, safe, and well maintained. Many asked how quickly they could see it or buy it but they'll have to wait until next year when we start our field trials! We'll publish our full report shortly, and will also present the details of the perspectives on water reuse at the forthcoming WEDC Conference in Loughborough (UK) in July 2015.